The E-Learning Technology Unit at the Atlanta University Center’s Robert W. Woodruff Library exists to support the library’s goal of research, instruction & learning about technology. The unit provides support services to library users at the Technology Design Studio, instructs students, faculty, and library staff on new technologies; and raises awareness through the AUC about library resources, services and events. The unit offers technology workshops and specialized class sessions both in the library and on campus. Additionally, students, faculty, and staff can receive one-on-one training in multimedia production tools and other technologies in the Technology Design Studio area of the library. Justin de la Cruz is the Unit Head for E-Learning Technology. He received his MS in Library and Information Studies and MA in Humanities from Florida State University. His technology interests include web development, music recording and production, and computer programming. He also serves as the subject librarian for music studies and researches various topics, including student use of social media and information seeking behaviors. 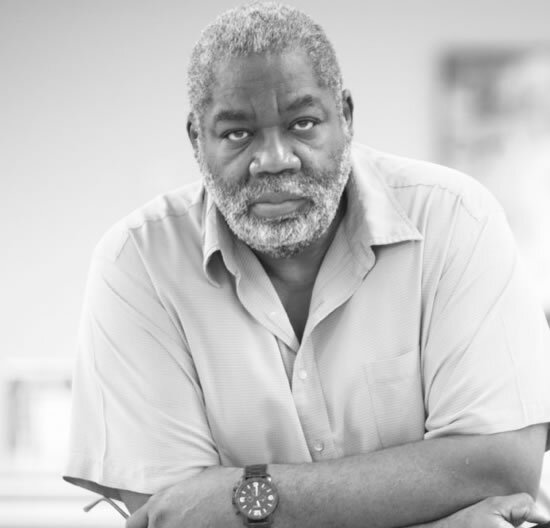 Oscar Daniel II has been serving the users of the Robert W. Woodruff Library for more than twenty years. He holds a B.A. from Morehouse College and an M.B.A. from Atlanta University. Oscar has seen big changes in education, many of which have been technology-driven: the rise of online collaboration tools, the expanding role of e-learning, sophisticated learning-management systems, and new communication tools. He realized that there is a huge need for E-learning technologists to step in and help library users benefit from technology. As a Sports Photographer, he can be seen throughout the Center photographing sporting activities involving AUC athletes and other participants. Daniel Adebayo provides exceptional customer service as Library Technical Assistant while providing training on the use of emerging technologies to AUC faculty, staff, and students. Daniel brings several years of experience to include work as an Audio Visual Technician, Production Assistant, and Content Manager. He holds a Bachelor of Science degree in Mass Communications from Clark Atlanta University. 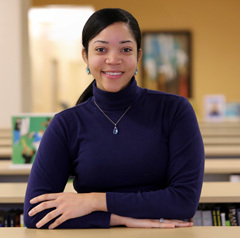 Ann’Drea Burns is a Library Technical Assistant at the Robert W. Woodruff Library. She holds a Bachelors of Interdisciplinary Studies from Georgia State University with a concentration in Film and Theatre. Ann’Drea also has a diverse background in communication and research, having worked in several library systems. She understands the need for technology and how it aids educational progression and accessibility. Ann’Drea is a, “MAC Convert,” with an interest in audio/visual systems. Constructed in 1982, the Robert W. Woodruff Library is named in honor of the late Robert Winship Woodruff, former CEO of the Coca Cola Company. The library was designed to serve the instructional, informational and research needs for member institutions of the Atlanta University Center, the world’s largest and oldest consortium of Historically Black Colleges and Universities. The institutions that make up the Atlanta University Center are Clark Atlanta University, the Interdenominational Theological Center, Morehouse College, and Spelman College. The Woodruff Library strives to reflect the excellence of its member institutions by being the first choice for users in their search for information. As an academic resource with a mission to achieve distinction in providing and supporting the learning, teaching, and research needs for each institution in the Atlanta University Center (AUC) it is vital to meet the needs and issues critical to its shareholders. Under the direction of Loretta Parham and supported by a staff of over 80 library professionals, the Woodruff Library celebrates more than thirty years of service to its community.